In many ways the Ionian Sea is the opposite of the Southern Aegean and in particular the Cyclades. While western Greece enjoys the Maistro or Maestro wind, the Aegean is castigated by the Meltemi in August. Even the scenery is different with the Cycladic islands - mostly barren rocky geological gems spread out of considerable distances in open water. Yet, the Ionian islands are lush, fertile and green, but lacks that particular beauty of the Cyclades that we call the sublime, which is clearly present in the flooded caldera of Santorini and in the north eastern cliffs of Amorgos for instance. 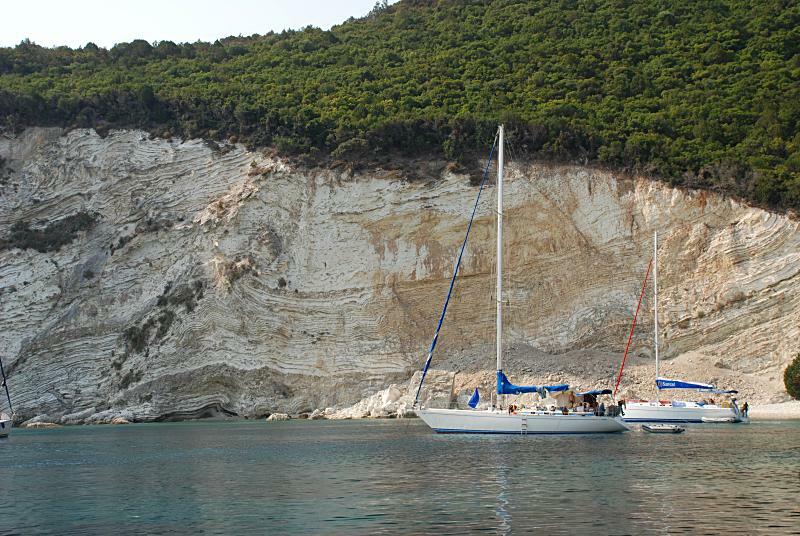 More differences between the various sailing areas of Greece, as well as the yacht charters guide. However, the Ionian remains the most visited sailing and yacht charter area bar the Saronic adjacent to Athens, and rightfully so because the gentler winds are most suitable for relaxation.